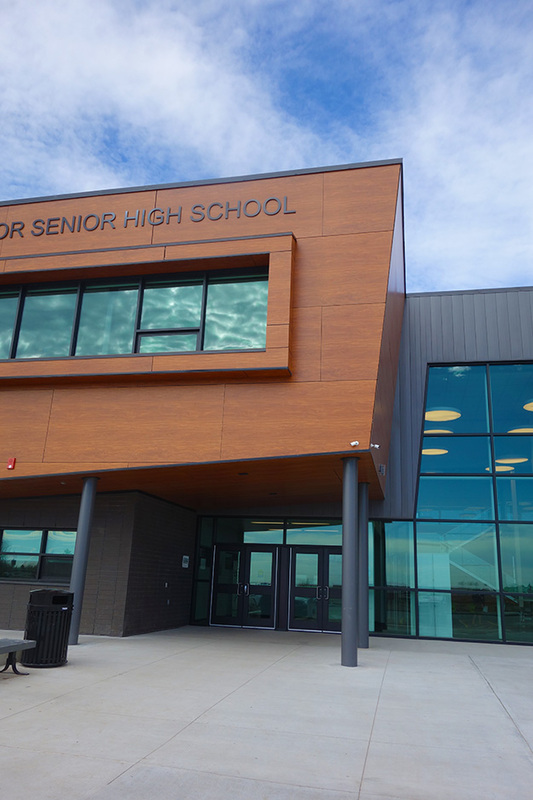 The Onoway Junior Senior High School involved the design and construction of a new replacement school facility to accommodate Grades 7-12 . 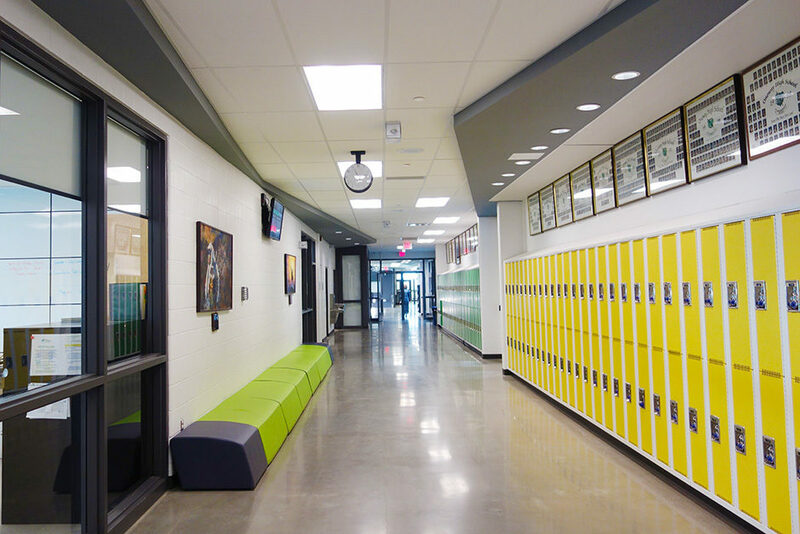 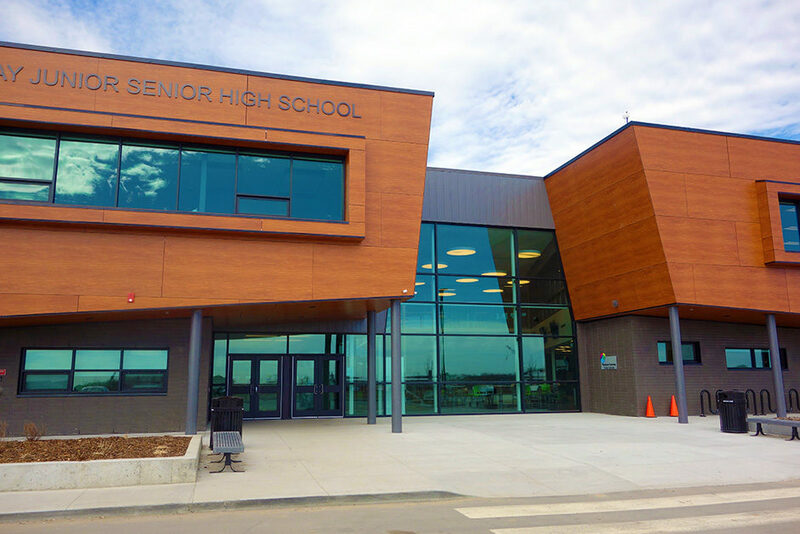 The new two-storey school, designed to achieve LEED® Silver Certification, has a capacity of 750 students with a build-out capacity of 850 students with the addition of 4 modular classrooms (totaling an additional 400m2). 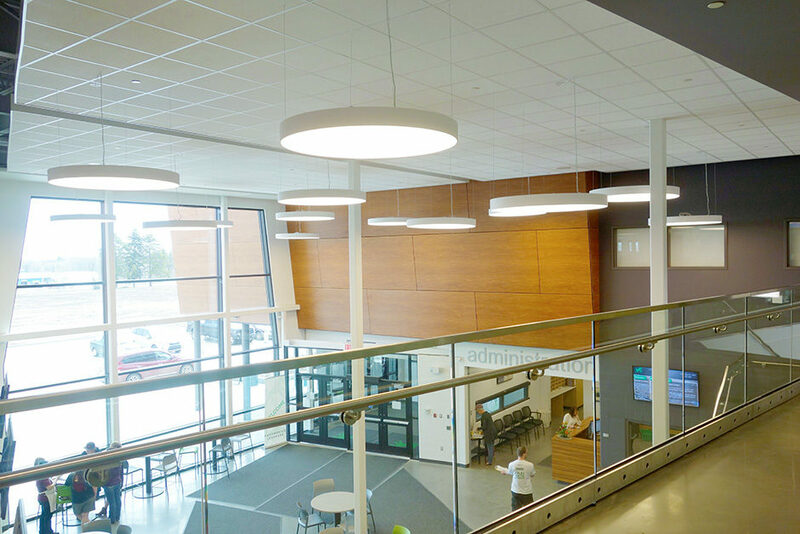 The entire facility is a modern, bright, and inviting learning environment with a streamlined open-concept plan focusing on social interaction and accessibility with ease of circulation and supervision. 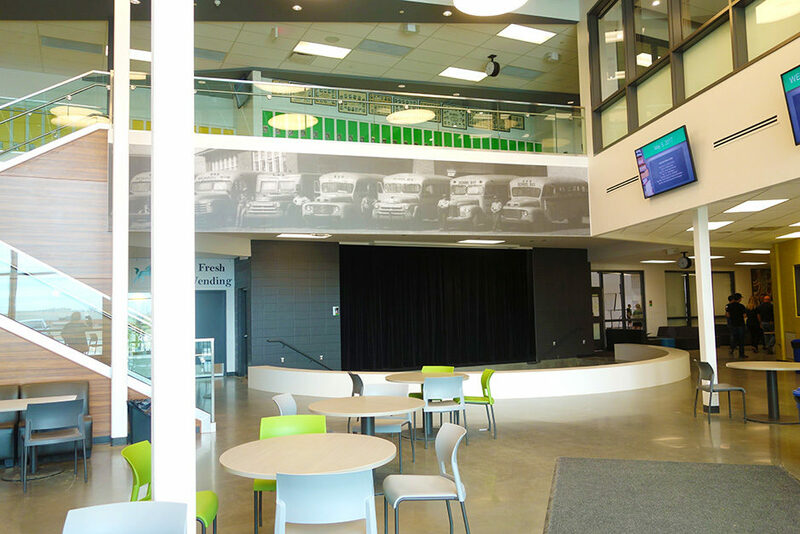 Features include a massive CTS Wing, Second floor running track, fitness room, performance theater , kitchen, student work pods, & a cafe that the students run as part of their business program.